All too often, providers must share in the care of a patient without actually being able to share much of the valuable data they hold about that patient. The inability to effectively exchange data can result in care rife with some of the industry’s worst flaws, including wasteful spending, poor coordination, and reactive rather than preventive care. 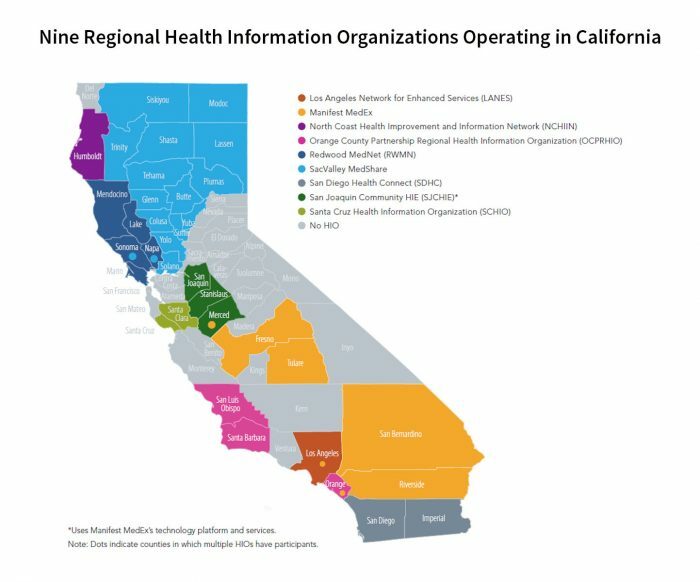 This report examines the various types of health information exchange (HIE) resources available to provider organizations in California, the value that stakeholders are seeking to realize from such resources, and the specific role of nonprofit regional health information organizations (HIOs) within this landscape. It also includes maps and high-level snapshots of nine major regional HIOs in California, including the areas they serve, the types of data exchange they facilitate, the services they provide, the members they serve, and some of the historical and geographic context that has led them to evolve in the unique ways that they have. Regional HIOs currently touch an estimated 22 million lives in the state, but only about half of California’s hospitals participate, and 23 of California’s 58 counties still lack any significant regional HIO presence. Many regional HIOs are struggling to find sustainable financial footing and to prove their value in the face of well-funded private alternatives. Investing in their success offers a tangible path to tackling the fragmentation in California’s health care system, which remains a persistent source of frustrations, inefficiencies, and disparities.